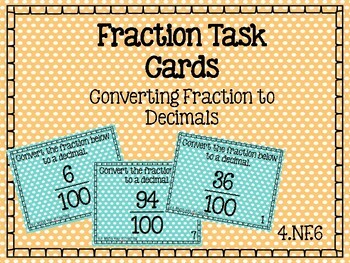 These CCSS Task Cards are designed to make converting fractions to decimals easy and more fun than handouts or worksheets! 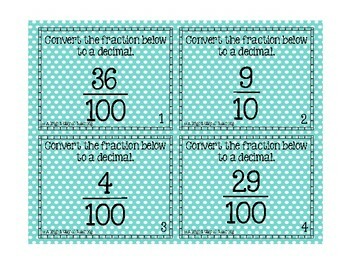 Use these for centers, small groups, or even independent work for your students. 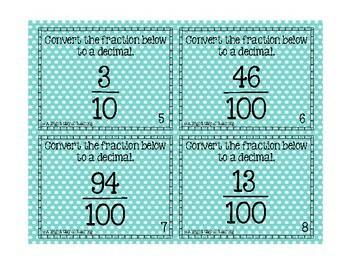 Answer key and student worksheet are included in the file. 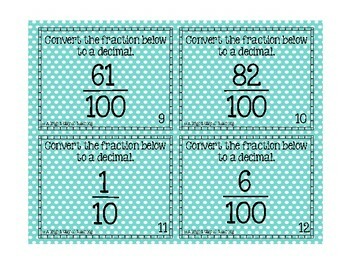 I hope you and your students enjoy these! Be sure to follow my shop for more activities!